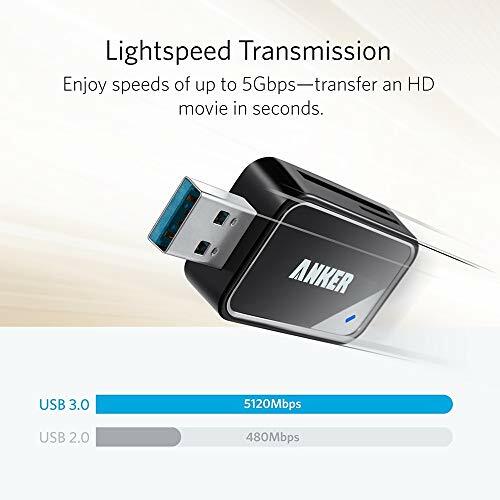 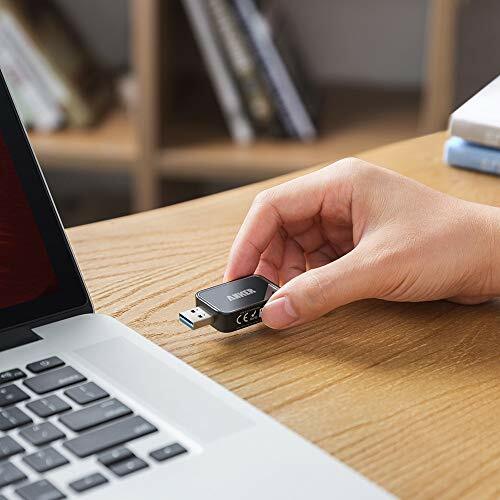 USB 3.0 enables data transfer rates of up to 5Gbps for faster Sync times, backward compatible with USB 2.0/ 1.1. 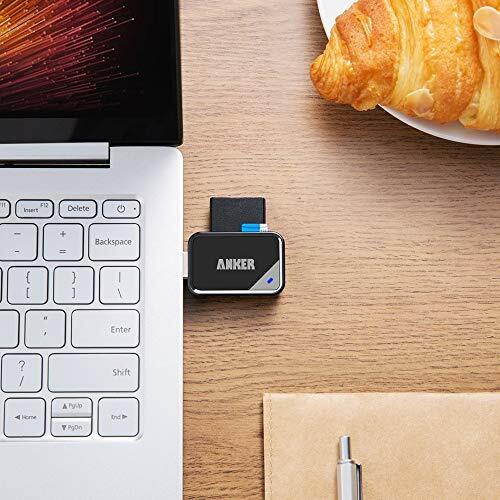 Fully powered via your USB port — no additional power supply required. 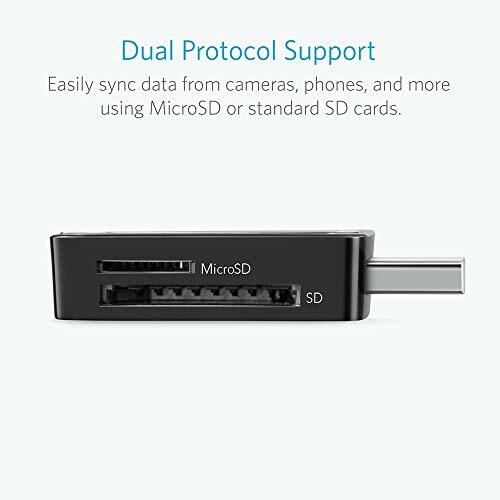 No drivers required for Windows 10/ 8/ 7/ Vista or Mac OS X 10.2 and above. 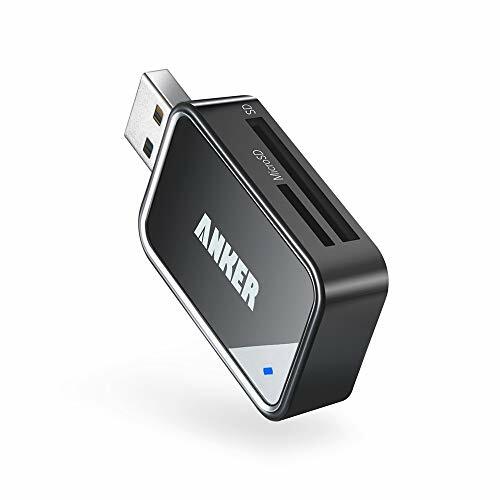 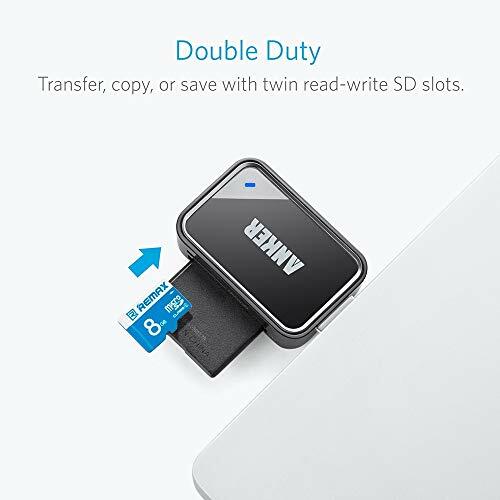 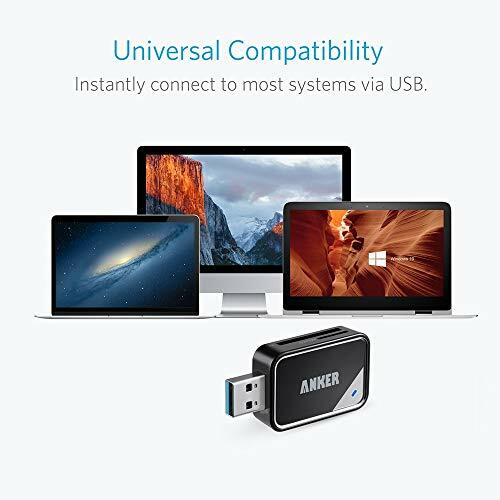 Package Contents: Anker SD/TF card reader, Welcome Guide, hassle-free 18-month .